Not only does the Edge come with ton's of ads and there is no ad blocker for it but I was able to see all the ads that Dan has on this site. Boy oh Boy! Lot's of them but that's how he makes money. More power to him! I never use the Edge but tried it to log in also to no avail. Seems to be fine on Chrome this morning. Oops - that doesn't look good for Edge. Google Chrome and Mozilla Firefox seem to be still two of the leading browsers. Microsoft has a lot of funds than the Mozilla. They create Edge but it looks like it still isn't a competitor. Bing might be a second popular search engine. Some people use it. Their Windows mobile also doesn't go well. Microsoft still rules in the PC OS. Google seems to be so successive on most its product performance. Thank you, Dan. That is good to know. I don't use Edge. I used Internet explorer. It was a bad browser. Other browsers are much better. I only use Firefox... I've had almost no problems with it. I did okay with Safari for a long time; then the websites got more complex, until finally I could not used this site SOLVED. But then Dan changed something so my computer now works here still. Safari do not make new version since 2013. I used Safari in 2013 and delete it after a few months. Kninjanin, I am amazed - no new Safari since 2013! That's terrible! I don't know much about browsers, and don't really have a way to learn...but trying to search for information online, with this old browser, gets more and more difficult. These are the only browsers I use. But I only use Chrome most of the times, then Firefox, then Yandex. Remaining I won't use at all. I don't use 'Edge' because it's not supported in Windows 8. Sorry for the inconvenience. If you are on a mobile, then there should be only 2 ads. A banner ad on the top and a link ad at the bottom. For PC, there would be an additional banner ad on the sidebar and a list of links to other pages of the site in the sidebar. This site won't even generate hundred dollars a month. 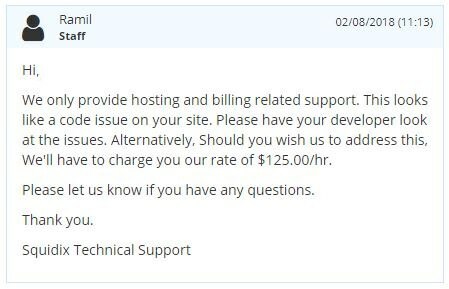 The money is mainly spent on hosting and fixing problems. I fix most of the problems if it is small, sometimes I get help from my hosting provider. They charge $125.00/hr since they are based on the U.S. So, a month earnings will be spent for an hour. Hiring someone from India may reduce the cost, but I'm not sure where to find them and how effective is the one, I hired. So, I just stick to the one I already knew. The site won't always run into a problem but they do occur. There should be money in the hand in advance too, to pay them. Ads annoy users but websites need money for functioning. Google is also taking steps to figure out, how to give a pleasant experience to the users. Few years before they introduced AMP pages. You might have noticed it with a thunder icon in the Chrome mobile search results. @Dan: No, I'm on a PC. Sorry to hear that those ads only generate that kind of money! I appreciate you keeping the site going as we are loyal to you! I use Ublock anyways. No problem, you can use it. There isn't much revenue. Below is the earnings for last month. Due to the agreement with Google, I shouldn't share the stats with others. They consider it as a policy violation. So I'm hiding many of them in it.